Dr. Huma Mirza has been reviewed and approved by NJ Top Dentists for 2018. 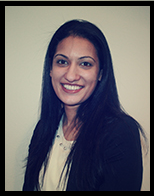 NJ Top Dentists has reviewed and approved Huma Mirza, D.D.S. for 2018. Dr. Mirza practices a full scope of general and cosmetic dentistry with expertise ranging from porcelain veneers, to dental implants, to crowns and bridges. Her key mission is to provide you with a new outlook on dentistry. With the ability to correct a wide array of formerly thought to be ‘permanent’ cosmetic dental problems, Dr. Mirza can literally redesign your smile. Whether you are in need a simple filling or a full cosmetic reconstruction, Dr. Mirza has the knowledge, expertise and equipment to go above and beyond your dental expectations. Dr. Mirza has taken extensive continuing education classes to improve her skill range, enabling her to be able to provide an extensive range of treatments for her patients, and helping to stay abreast of new technologies.